Are you incorporating mobile strategies into your SEO? You really should be. Just look at the statistics. Currently, some 50% of Australians go online using tablets. 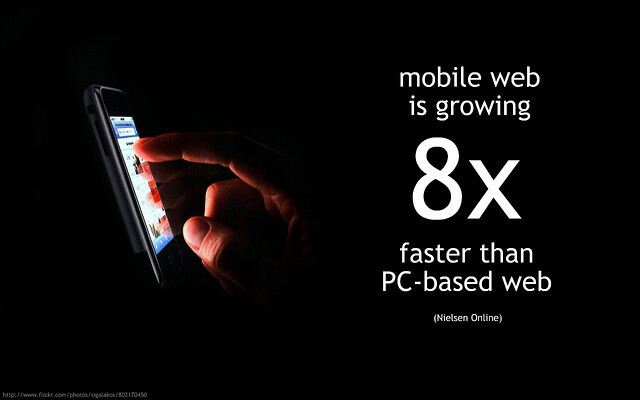 The percentage for mobile phones is even more impressive at 68%. These figures are set to grow even more seeing as 72% of Australians own a smartphone, and the number is increasing daily. The numbers are impressive, but that’s not all. Mobile SEO is particularly exciting because searchers using smartphones are more likely to be buyers than those using a PC or laptop. Consider the element of spontaneity. You’re sitting in a coffee shop, you’ve just read in a magazine about some new headphones, you whip out your phone and fire up Google, the results stream in. With the device right there in your hand, you may well make your purchase there and then. Even if you wait to get home and use your computer, the impetus still came from mobile search. Also, bear in mind that searching on a desktop is a far more leisurely experience than on a phone. That means mobile searches are likely to be targeted and focused. Another key factor is that mobile users tend to be very active on social media. Hearing of products from their friends and peers can spark off a search and a purchase. So what’s the best way for Australian SEOs and web developers to best take advantage of this trend? Don’t be in a rush to build a separate mobile website. Google advocates creating a site with a responsive design instead. These sites use CSS to determine the device the searcher is using and serve up a website appropriately formatted. If you do decide to create a segregated site, one factor to consider is that mobile searchers tend to use shorter queries as typing on a phone or tablet is more challenging than on a full keyboard. For that reason, you might want to limit the length of tags and headlines, for example. Similarly, navigation is more difficult on a small screen so simplifying on-page buttons can help make things easier. Finally, be sure to incorporate the click to call feature. This dials up any phone number a user clicks. One issue with mobile search is that of getting accurate analytics. Buying directly from a phone is still a novel experience. Very often, a searcher will identify the product he wants through an online search and then head to the store to buy it. Alternatively, a local search might bring up the phone number of a nearby store so he’ll call up and place an order. In neither case is the purchase linked to the search results. As you can see, without a mobile responsive site, you’re losing traffic and sales. Mobile technology is the major wave of the near future. Are you doing enough to leverage it? This entry was posted in Web Design and tagged Mobile SEO, Mobile Website Design, Mobile Websites. Bookmark the permalink.